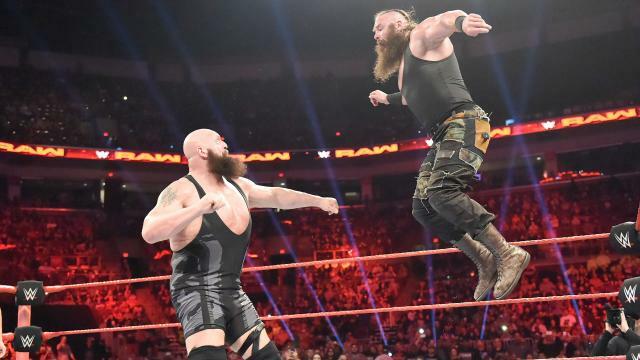 Big Show and Braun Strowman Broke the Ring While Wrestling, This is Epic! Wrestling is a big thing, no doubt! When two or more wrestlers fight it out in the ring to win the match it fills us with joy and leaves us screaming for more. We all have some iconic moments, celebrated in that very same ring, many knockouts, many victories and some stories. So practically, wrestling in the ring has engraved many historic names, moments and stories, but this time we are sharing something that just became an epic moment outside the ring. Our two most favorite wrestlers Big Show and Braun Strowman broke the ring while wrestling and it was not just epic but hilarious at the same time. The two to them came so hard onto each other that the entire ring broke apart. The Referee also fell and the entire audience started applauding and high-fiving each other.